We’ve all been there. Your toddler is losing the plot, you have washing to hang out, an important phone call to make and dinner on the stove. So you hand your toddler your tablet or mobile, and fire up the playlist of baby animal cartoons or, in my son’s case, Lego builds (literally people filming themselves building Lego sets) and set them up on the lounge. There. The manic kid who was hurling packets from the pantry onto the kitchen floor minutes before has transformed into silent angel, utterly transfixed. You take a deep breath. Smile with relief. And then the pang of guilt hits. After all, too much screen time is the biggest health concern parents have for their kids. But then you see the colourful little characters singing the alphabet and talking about their emotions … and you feel better. They’re learning! It’s true that many TV shows have a much stronger educational focus than the cheesy cartoons that first aired when televisions exploded into the market, although there were some early stand-outs, too. Sesame Street, for instance, which first hit screens in 1969. It was a game-changer. The program’s educational focus was fine-tuned to little viewers’ developmental stages, the show’s positive benefits documented by countless studies in the decades that followed its debut. Childrens’ programming has increased hugely across the past five decades, from Saturday morning cartoons in the 80’s, to what we have today – dedicated kid’s channels with round-the-clock scheduling. But with quantity, quality is sometimes left wanting, especially if you focus in on YouTube. Easy access to low-cost digital production resources (things like animation software and editing tools) means that if almost anyone can create content and upload it, it isn’t going to be up to Play School or Sesame Street standards. A recent study showed that children aged 6 to 24 months like to watch YouTube videos, but don’t learn anything from what they’ve seen. 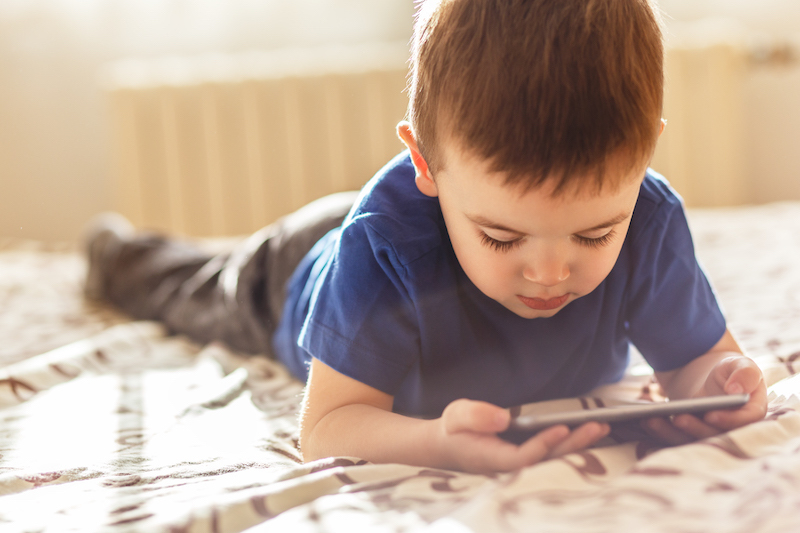 The small study analysed 55 children living in India, and observed their screen behaviours regularly before the age of two, contrasting this with their mental and emotional development. Babies as young as 6 months found the music and colour in videos fascinating, and when they hit 18 months, they could use buttons in an attempt to engage or move to the next video. But the study showed that in the rare instance that toddlers picked up new words, they only did so when their parents were sitting beside them and engaging in the TV show content too. And if the aim is to get stuff done while they’re watching, you can’t very well sit next to them and discuss the show like those guidelines recommend. It has to be one or the other. Here’s the truth, mama. 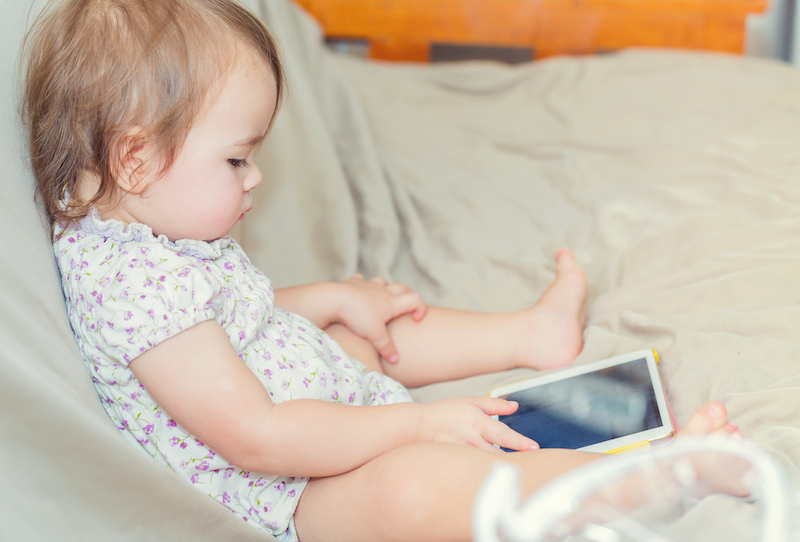 Putting your toddler in front of the TV or handing them an iPad occasionally for short bursts (less than an hour a day for two to five-year-olds) won’t be unhealthy for them, as long as you set limits. The key is realising the limited value a TV show can give beyond simple entertainment. 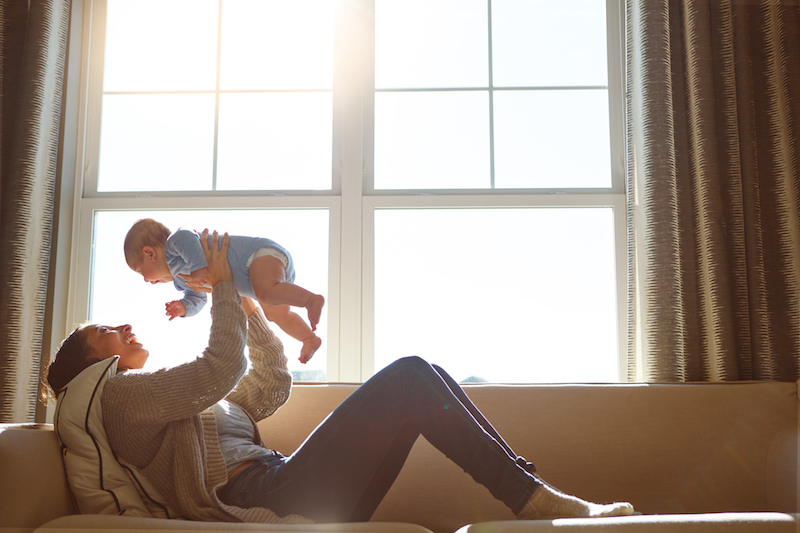 Let’s not kid ourselves, we know that the best thing for our childrens’ brains and growing personalities is to spend as much time with their primary caregivers and siblings as possible. Real people trump people or characters on the TV every time. It’s important to stress that your mental health as a parent is important too, and there are moments where you Just. Need. Time. Out. Choose a quality program – this list from Common Sense Media has some great suggestions. One last piece of advice, Mum to Mum! Carefully vetted Kids’ YouTube can sometimes be appropriate for preschoolers and school-aged kids, but steer clear of YouTube for very young children. It’s easy for them to skip to inappropriate content (like this distressing fake version of Peppa Pig). Better still, stick to curated, reputable apps like ABC Kids – or downloaded episodes you’ve screened beforehand.